We just finished our first official week of summer and it was great! We had beautiful weather, spent lots of time at the pool, went out for ice cream, lots of baseball…we are off to a pretty nice start. This weekend we are looking forward to spending time celebrating Father’s Day. If you haven’t quite figured out just what to do for those special dads in your life, read on…I’m offering up some last minute Father’s Day inspiration for you to checkOUT! 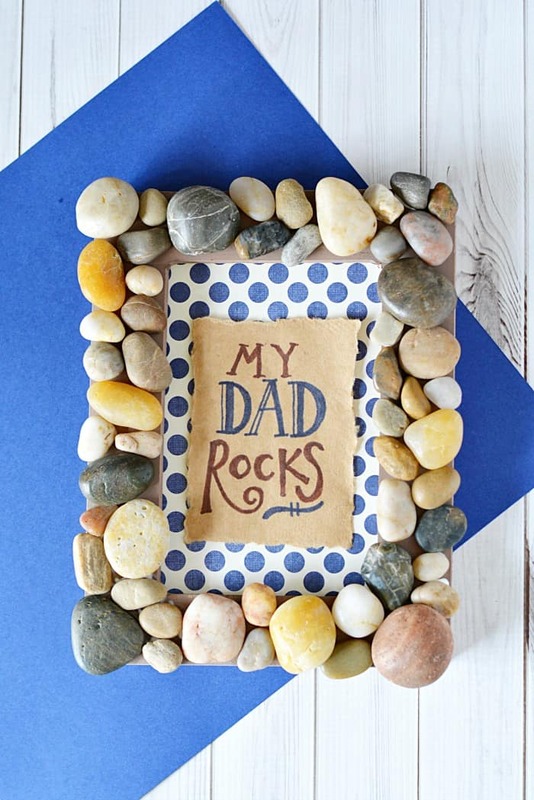 This adorable frame project from Jody at the Mommy Moment is a great last minute gift for dads. This is a project that would be great for kids of most any age. I know if I did the glue, my little guy would love placing on the rocks. And my 8 and 10 year olds would have fun doing this projet all on their own. Know a dad who is a candy lover? 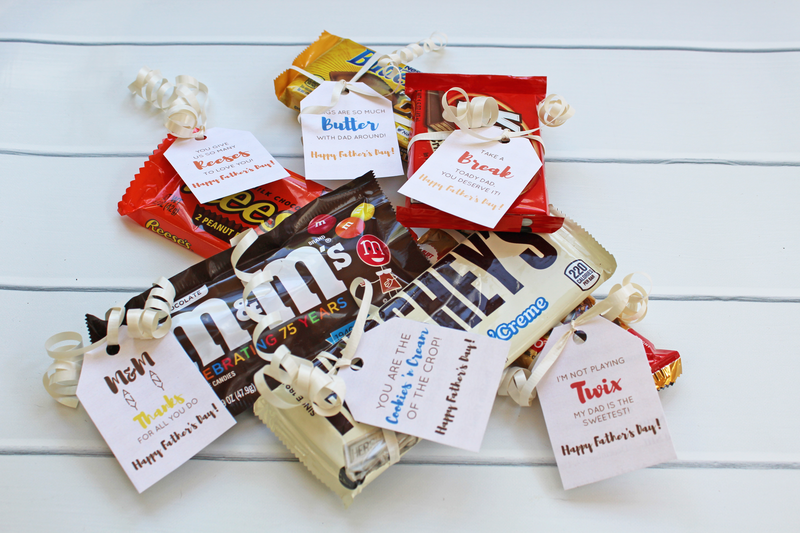 Then check out these super cute Candy Tags that Gina is offering on her site. My husband is a Reese’s fan, so we’ll definitely be using her “You give us so many Reese’s to love you!” tag. There are 6 to choose from and you can download them for free! How sweet is that? 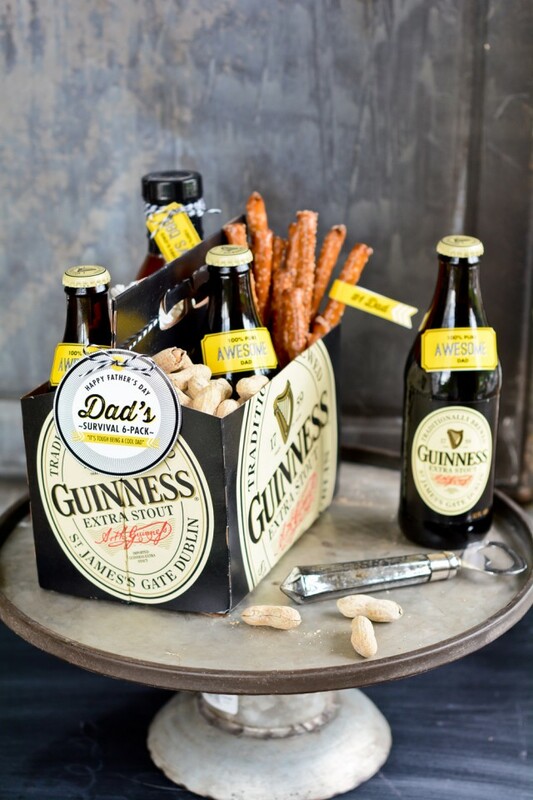 I love this DIY “Survival Kit” for dads filled with a few beers and some favorite snacks. Maureen provides everything you need to print and assemble this great gift. Another simple, but thoughtful and fun gift for dads! checkOUT: Adventure In a Box from Cristi featured on How Does She? For those dads that enjoy adventure and being outdoors, build one of these cool Adventure In a Box bins. Filled with all kinds of fun but inexpensive gear (think Target Dollar Spot or a dollar store), dads and kids will be all ready to go out and explore and create a memory filled day! Get all the details here! One more fun idea, for the dads that love to grill…this “The Best Dad Hands Down” apron is so cute. Karen shares all the details on making these personalized aprons. 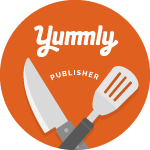 Give this one a try for all those barbeque-loving dads and granddads! I hope you enjoyed this week’s list! Wishing all the dads and granddads a wonderful Father’s Day weekend. Leave a comment below and share your gift ideas and plans with me so I can add them to my list for next year’s Father’s Day! I love all of these ideas! We decorated a wood frame with some paint and I got him some expensive underwear he has been wanting to try, lol! Why not spoil him a bit, right?!?! Have a great weekend! Great ideas for Father’s Day gifts! The little and I are going out of town so we’re making daddy a scavenger hunt!